This is an easy meal for when I want something with a lot of flavor and don’t have enough time to cook a big meal. It surprises me because friends request this rice. Sometimes the simplest things make the best meals, I guess. When I don’t have green onions, I use yellow onion. 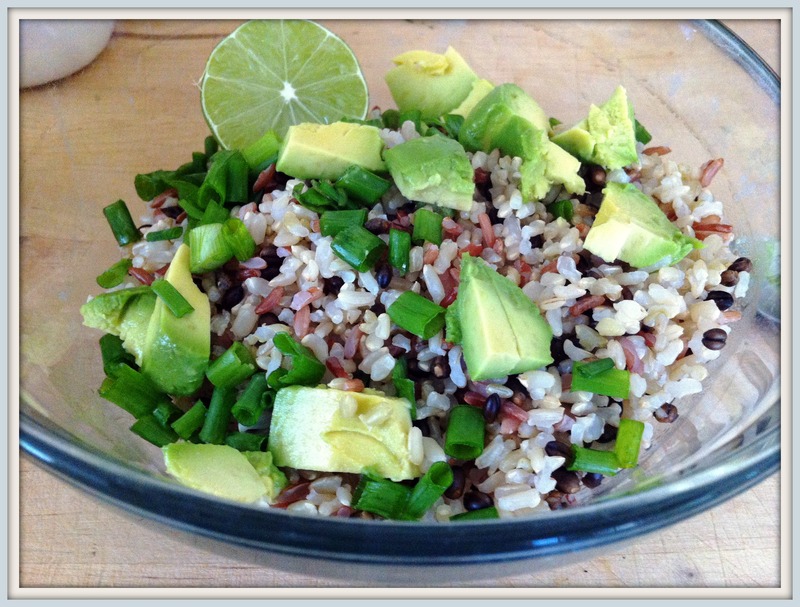 I also don’t always have cilantro on hand, so then it just becomes Quick and Easy Lime Rice. It’s still good, and I’m sure you’ll find lost of ways to modify this recipe. 2 cups cooked rice (if I’m in a pinch, I use a bag of frozen brown rice from Trader Joe’s). Squeeze the lime into the rice. Add the rest of the ingredients and mix well. I’ve had this at Jenna’s house a couple of times and I love it! I always ask for seconds!